A week or so ago I had the opportunity to go out and browse around Goodwill. As I walked through the store, I spotted a pair of geese that were dirty but in great shape. They were adorable but I just walked away for them. Then I started to walk by them again and again. Staring at them a little longer. Maybe I could repaint them? As soon as the thought hit me I bought them. Below is a quick explanation of what I did to repaint them. I put my first layer of paint on each of them. Then they were put to the side for an hour to let the paint dry, and another layer was added and another hour past by. Time for the details. 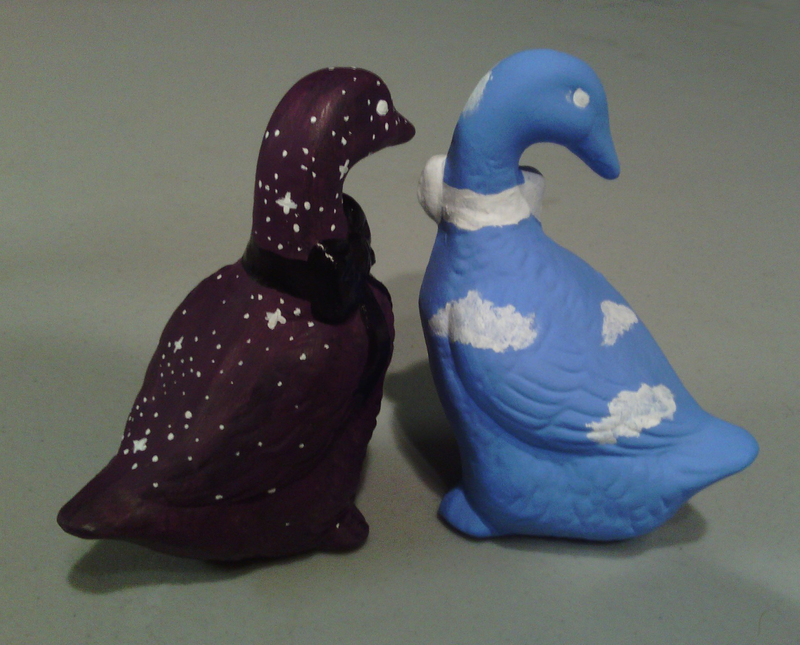 I painted the stars, clouds, and ribbons onto my little geese. 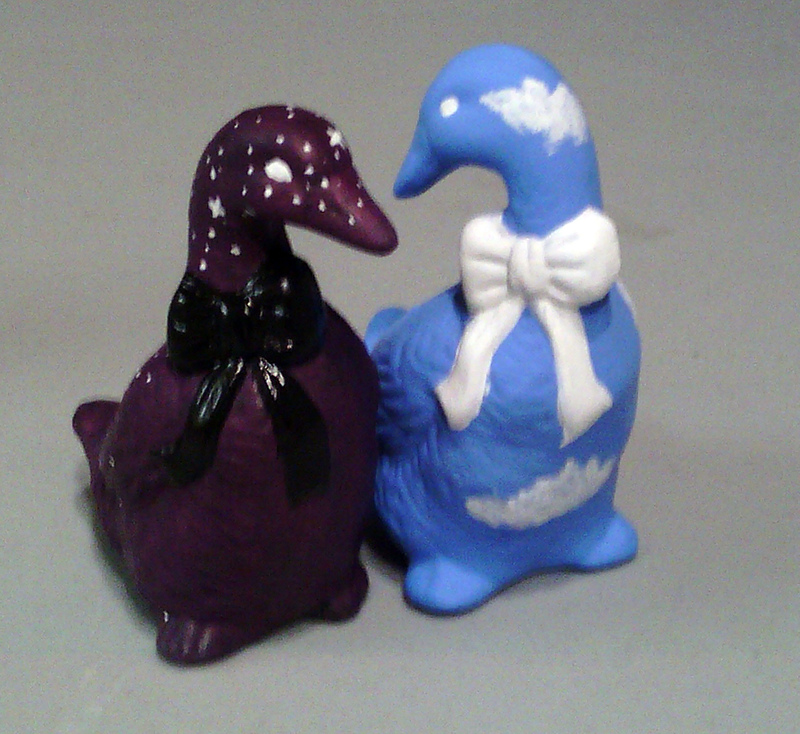 Now I have a pair of Night and Day Geese! I haven’t done it yet, but I need to add a sealer to them. 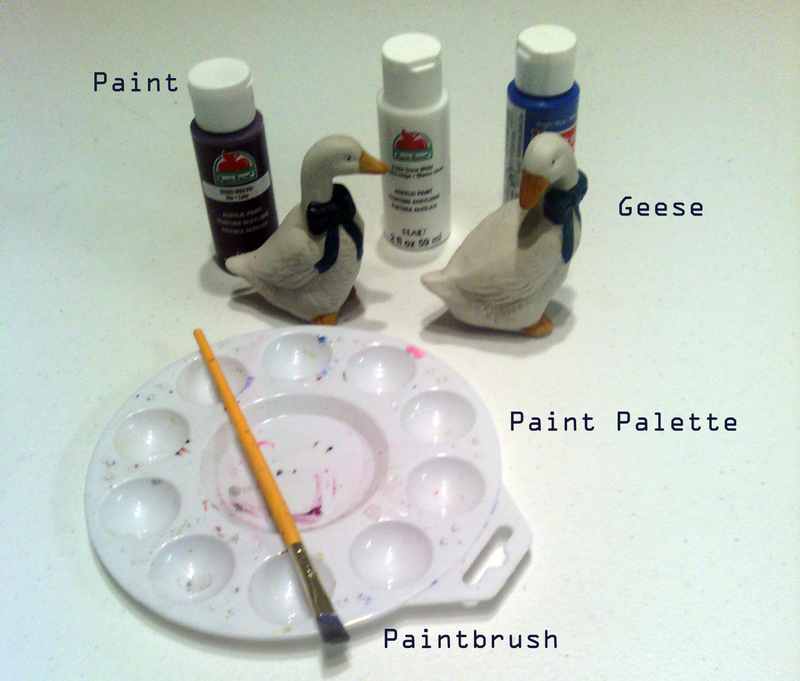 That way the paint will stay on these geese for a longer time than if I had not put sealer on. If you decide to repaint something, it doesn’t have to have a lot of detail. Sure, it is fun painting it, but in the end it doesn’t look as well as if you kept it simple. What is your favorite thing about birds? Mine is that they evolved from dinosaurs. Ahahaha I love these, what a great idea!